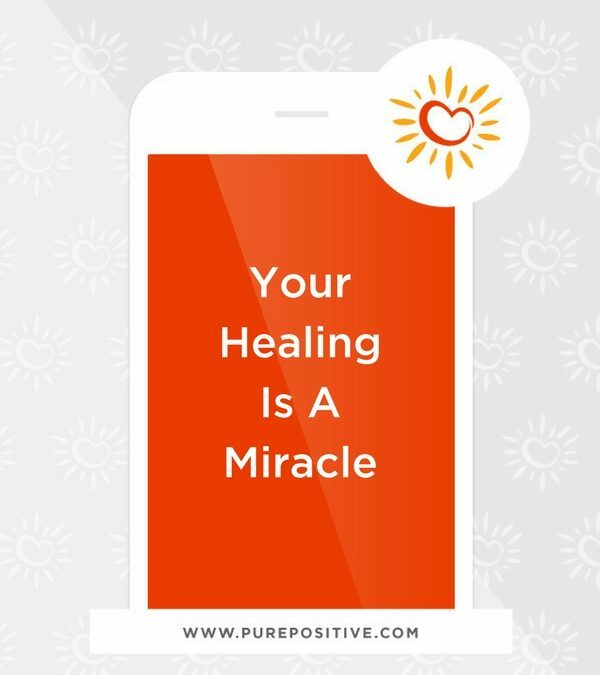 Your healing is a miracle that is constantly occurring in your body and life, every day. It is the nature of life to heal. Whether it is physical, emotional, or mental, it is the nature of everything in the universe to constantly advance. Death is an illusion because it ultimately results in new life. Energy can only be transmuted into new forms. Your life energy is expressing, advancing, and transforming on a continuous basis. You are part of all life and all cycles of life – not only on this earth but in the heavens above and the air all around. Growth and healing are one, and are yours now and always. Healing is the grand design. Healing is the natural state of everything and everyone. New life, new growth, new expression, and new experiences. Your life is forever blooming. Your beauty is uniquely changing on a path designed just for you. Every stage of your evolution has a perfect beauty and design that enhances life for all other living beings. You grow, you ripen, you blossom, and release the exquisite fragrance of your soul. The expression of your loving energy heals others. It is the natural progression of your life. Every day is a miracle of growth and healing. Your design is a miracle.